Pyjamas are on. Teeth are brushed. Little faces have been smooched and the clock is winding down towards bedtime. The pace becomes slower as little eyelids become heavy. There’s one more choice to make – the right bedtime stories for kids. Reading to children in the early years has a marked impact on their literacy journey. It’s how children make meaning, interpret the world around them and engage in creative and critical thought. Choosing the right bedtime stories for kids can provide a beautiful calming routine for parent and child alike. There are also educational benefits that can have a positive impact on how your child will engage with literacy in the primary school classroom and beyond. Step into any children’s book store and you’ll be overwhelmed by flashy colours, crazy characters and zany adventures. However, these aren’t necessarily the right choice for your child at bedtime. Narratives that evoke a natural sense of peace and positivity can be preferable to adrenaline soaked adventures; for some, alien battles and wizarding wonders have the potential to over-excite or antagonise a child right before sleep. 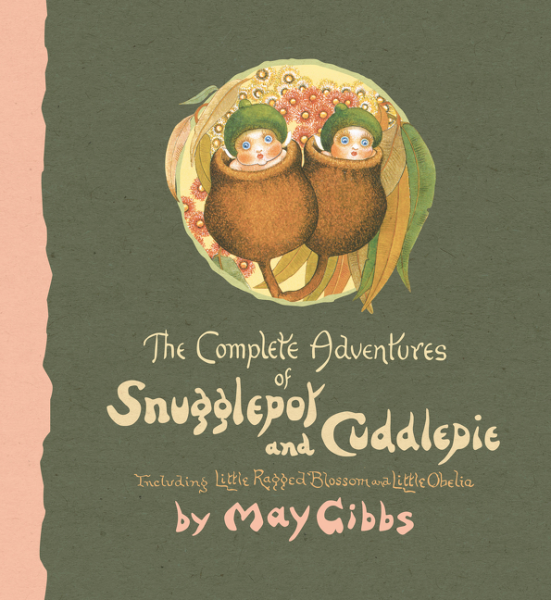 May Gibbs’ stories are the perfect bedtime stories for kids, particularly in the pre-school age bracket. Simple, beautifully imagined characters who interact in a naturalistic setting guided by a classic narrative can help provide a calm, creative atmosphere that is conducive to relaxation and reflection. 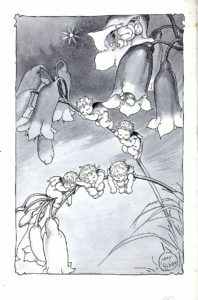 Each classic May Gibbs text provides enough ‘bedtime story fodder’ for up to three consecutive nights. Children will be eager to unpack the narrative as it develops, giving parents and carers an opportunity to tap into key literacy skills around ‘sounding out’ and comprehension. These classic Australiana stories will also inspire the creative potential that is often explored by a play-based early learning curriculum. 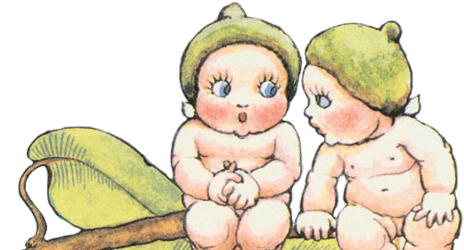 Snugglepot, Cuddlepie and the Gumnut Babies just might be spotted in your own backyard as you play! Your child will be inspired by these texts to undertake nature play experiences that connect with their literacy engagement in these stories. You could soon find wattle, gumnuts and assorted flora decorating your own home – natural products make beautiful craft projects to further engage kids in the stories and the natural world. Choosing the right kinds of bedtime stories for kids can open your children up to a whole new world of imagination, creativity and inspiration. Choose wisely! Spark a love of reading early by choosing the best bedtime stories for kids from the charming May Gibbs collection.